2. Fry onions till translucent. 3. Add the ground paste and fry for 30 to 60 sconds. 4. Add prawns and fry for 3 to 5 minutes. 5. Add papaya, tomatoes and salt. 6. Reduce heat and cook till papaya is tender. 7. Pour in coconut milk and vinegar. 8. Mix well and remove. 9. Serve hot as a side dish. 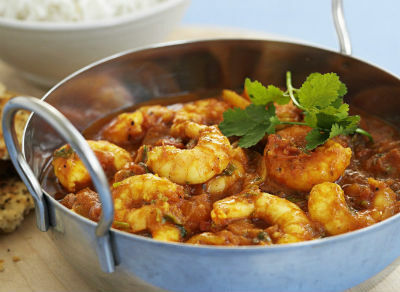 Feel free to comment or share your thoughts on this Prawn Curry with Papaya and Coconut Milk Recipe from Awesome Cuisine.